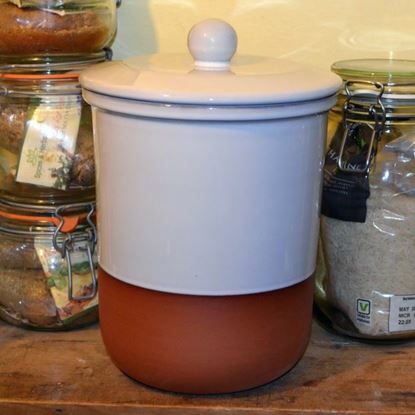 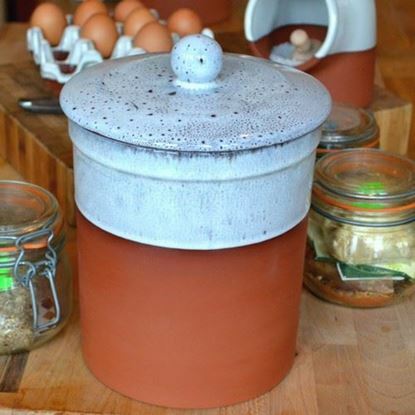 This large lidded storage pot offers plenty of capacity for storing a multitude of foods such as rice, pasta, couscous, biscuits & crackers to name a few. 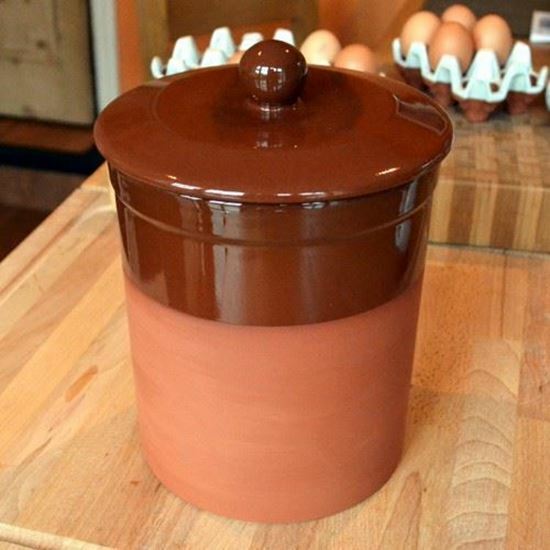 The exterior is part glazed in brown to compliment the terracotta with fully glazed interior. 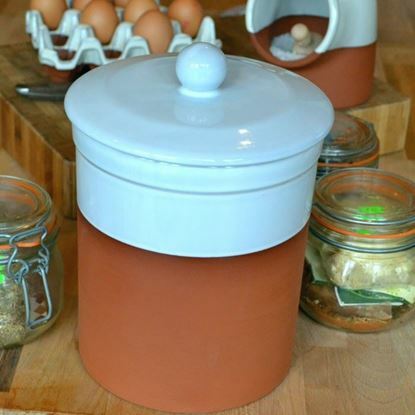 A terracotta storage pot is a practical and convenient lidded storage container.